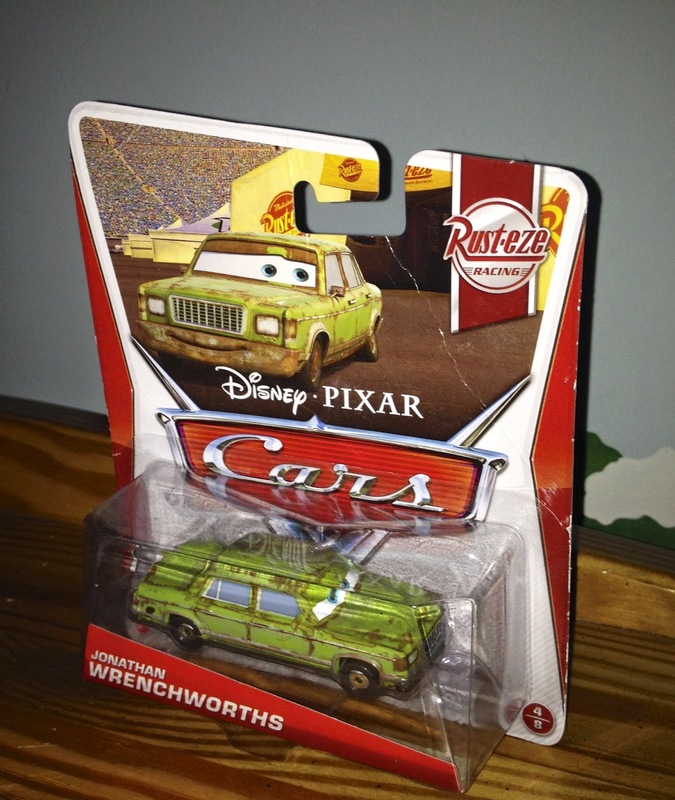 Here we have last year's re-release of Jonathan Wrenchworths from the original Cars! This is a 1:55 scale diecast car from Mattel and was part of their 2013 "Rust-eze" sub-line (#4/8). 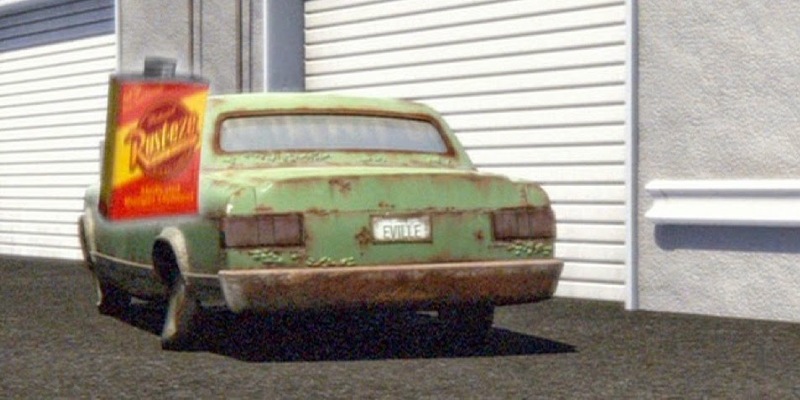 Just like Vern the taxi (see the post from just last week), Jonathan can only be seen in the film from the back (during the Rust-eze medicated bumper ointment commercial, screenshot above). This character's release as a diecast was the first time his front/face was revealed. He was originally available in the "Final Lap" series from a few years ago.